As a supplement to my earlier piece on how to shop online, here is a list of my favorite online shopping sites to help you get started. Gold Dot -( http://golddot.multiply.com) They manufacture their own shoes. Styles are always up to date, if not fashion forward. 90% of their shoes are made of real leather so I can guarantee you that they last. I personally have several pairs. Price ranges from P800-P2500. They also sell a lot of connector rings and pretty vintage looking bags. Tiger Lily - (http://tigerlilies.multiply.com/) They sell authentic Aldo, Steve Madden, Zara, Topshop, Sam Edelman shoes and bags at a fraction of the mall price. They also have pretty Louboutins knock-offs which I've been tempted to try but haven't ordered yet. I'm weary of their comfort factor. Ebay - ebay.com.ph I am addicted to ebay. 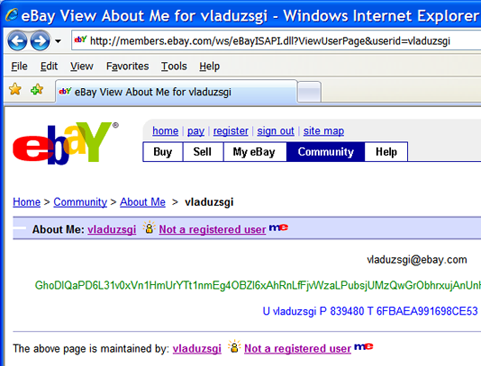 I get almost everything there, from shoes to clothes and home appliances, sometimes even jewelry =) Best ebay buy? A purple, velvet Marc jacobs smoking jacket that I bought for only P400 and a croft and barrow mustard motorcycle jacket which I won for only P600. Five by Five - (fivebyfive.multiply.com) I love their real vs. steal portion wherein they feature all the latest designer shoe styles vs. their cheaper version. Drawback: shoes are on a pre-order basis which means you have to wait around two weeks before they arrive at your doorstep. Also, they're a bit pricey considering all their shoes are made of PU leather and are imported from China (not confirmed). The Mall at Stylebible.ph where you'll find up and coming designers with their latest design offerings(redundant much?). You will find everything here from clothes, shoes, accessories. Summersault http://summersaultonline.multiply.com/ - for beautiful, affordable, up to date shoes, bags, accessories and clothes. They have a lot of sheer items right now that are to die for. Vinyl Forever Records (http://www.facebook.com/pages/Vinylforever-records/158501937500266) - If you're a vinyl fan (meaning 12" turntable records) like me, Vinyl Forever is the place to go. Rico offers meant condition vinyls from the US at very reasonable prices. They also recently opened up shop in The Collective along Malugay St, Makati. There is a lot more out there but these are the top 6 I frequent. I will add more when my "Dory-ish" memory allows me to do so. What are your favorite online shops? Care to share?